I always thought I would mother boys. My deep love for the outdoors, adventure and disdain for drama seemed to fit the mold of my immature mind. In fourteen years of mothering girls, I have discovered the beauty and perfection of God’s plan in these three little women of mine. They inspire me with their kindness, diligence and sense of wonder. I have not walked this path alone, but have found inspiring mentors for myself and my girls along the way. The results have been extraordinary. Ms. Karla came into my life when I was first pregnant. She met with me every week and taught me how to care for my home & my growing family with cooking skills, knitting, sewing, prayer, patience and a resolve that allowed room for God’s plan to be present in times of hardship. She changed my life and in turn, changed the lives of my girls as well. 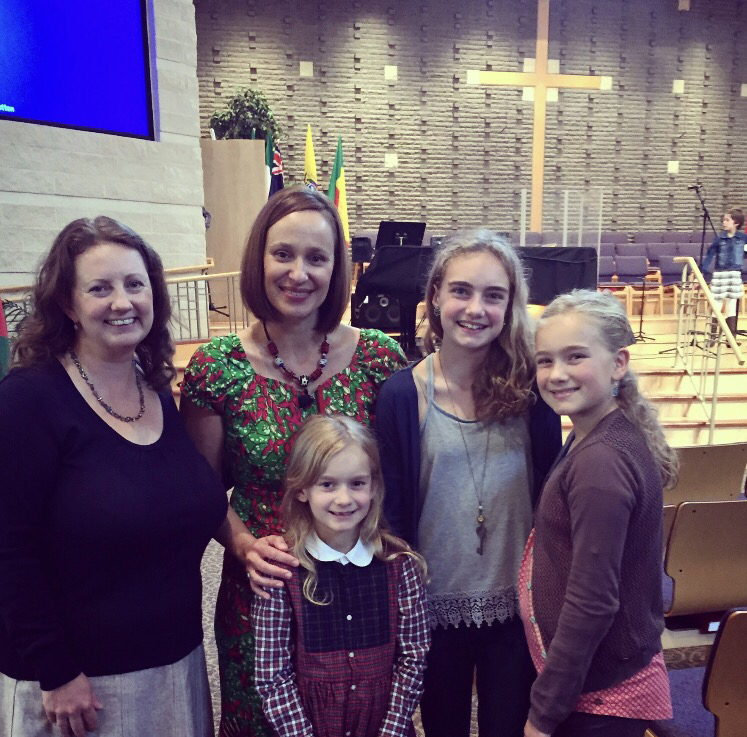 The season of life changed and as I took on homeschooling, my time for meeting grew shorter and shorter. The needs of close friends rose and Ms. Karla stepped into their lives in consistent and loving ways. Years passed. Homeschooling is the realm of unrelenting overachievers; present company included. Nowhere have I found the desire to achieve excellence in 12 different subjects all while feeling like you’re not doing enough! Last semester, it hit me that I wasn’t getting in all the crucial skills that Ms. Karla had taught me. I was out of time and energy, but it just so happened, that after decades of service in teaching, Ms. Karla had retired. #Jesusforthewin Her husband, who I consider to be one of the greatest men on earth, had worked with Jason on a very special gift for Ms. Karla. In return, she was looking for a way to extend her gratitude to us when my e-mail arrived. 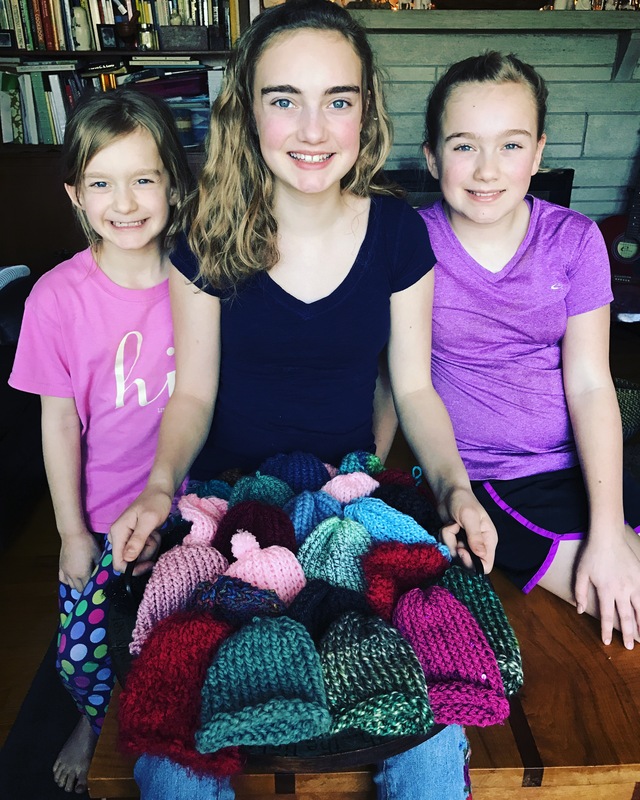 In short, it read, “Would you be willing to host my girls once a month for some knitting and baking lessons.” Overjoyed at the answer to her plea, she quickly agreed. My girls and I now share a mutual love and admiration for Ms. Karla and her time and presence in our lives. We have also found ourselves, in return, wondering how to say thank you to her. “Baby hats”, Dr. Wilson explained would be wonderful. Even though it is Africa, the babies heads need to be kept warm. We spend at least an hour a day in homeschooling where I read aloud to the girls. We call it “Coffee Table Book Time”. 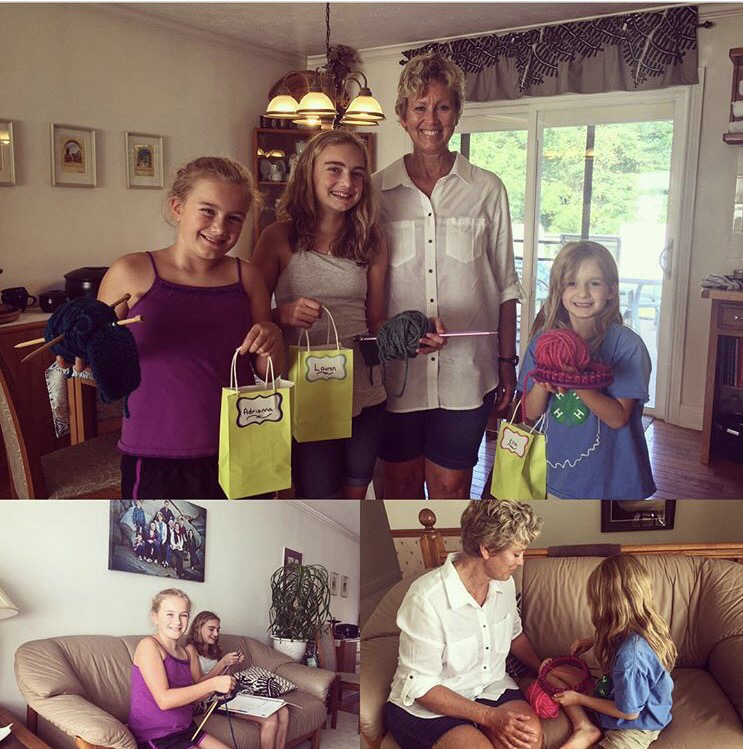 Since our meeting with Dr. Wilson, the girls have used this time to knit hats for babies in Ghana. The time has come for the hats to make their way to Canada as Dr. Wilson prepares for her 7th summer in Africa. 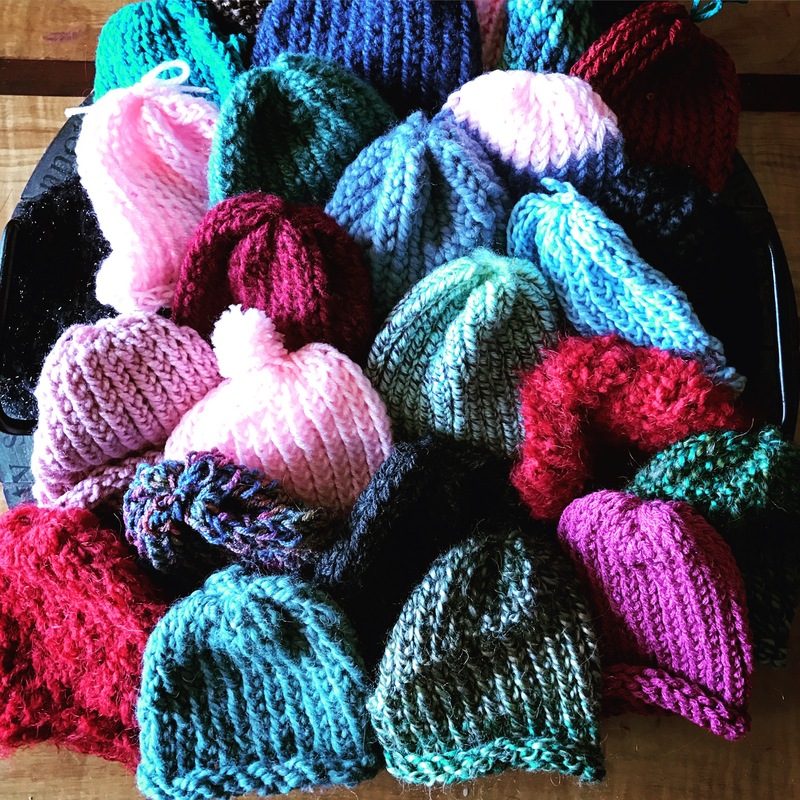 We are donating our 25 knitted baby hats in honor of Ms. Karla as our loving thanks for the time she has spent pouring into our lives. We also pulled out hat #26 to be sent to her newest grandchild, baby Joy, who also has an extraordinary story and inheritance because of the presence of Ms. Karla in this world. Ms. Karla, you have changed our lives. To learn more about Dr. Wilson’s work in Ghana or to support the work there, click here. God Is Love: Our Favorite Advent Ever. Thanks for sharing!!! 🙂 You and Karla continue to challenge, encourage, and inspire me from afar.